In 1919 the pilot Rolf Zimsen, the nephew of the mayor of Reykjavik, was summoned to the country to explore the possibilities for domestic communications in the air. He soon announced his choice of an airstrip in the Vatnsmyri bog near the capital and the Town Council granted an area of 93,200 m² for the purpose. At the same time the first of four joint-stock companies called Icelandair was founded and the first aeroplane was imported. It started flying on the 3rd of September. The first pilot was Cecil Faber, who stayed in Iceland for three weeks. The day after the first successful flight, the citizens were offered the possibility to see the capital and its surroundings from the air for five minutes for 25 ISK. The following year an Icelandic-Canadian pilot, Frank Fredrickson, took over. The first accident recorded in the history of flight in Iceland happened on June 27th, when the pilot had to abandontake off and hit two siblings, a girl of ten, who died, and her four years old brother, who was seriously hurt. The operation of the plane was not successful and it was sold the next year. In 1928 another company by the same name was established. It was operated until 1931, when the world crisis and other disasters prevented further attempts. During the next two years, two Dutch weather observers used the provisional airstrip. By that time the field had been somewhat improved. The hangar and wooden bridges were sold, mainly because of the lack of all kinds of building materials. Mr. Agnar Kofoed-Hansen was the first to fly a glider from the airfield early in 1937. It crashed on the third attempt without serious injuries to the pilot. The same year the company “Air Akureyri” was established and three years later the name was changed to Icelandair. It built a hangar on the cove Shellvik, where amphibious aircraft served the domestic needs for some time. The field was sometimes to wet and boggy for heavy planes and therefore they had to fly empty to a nearby field at Korpulfsstadir to pick up passengers and cargo. The international airline “Loftleidir” was founded in 1944. Mr. Agnar Kofoed-Hansen fought on behalf of the newly founded Aviation Society for the construction of a durable airport in the Vatnsmyri bog and the engineer Gustaf E. Palsson designed it. Nothing happened until the British occupied Iceland in 1940. They immediately started the construction work according to their own designs. Their equipment was simple and primitive. As a result, they could not change the soil under the runways, which soon made them very bumpy. Since then the airport has gradually been repaired and the latest improvements were made during the period between 1999 and 2001. The Allies handed the airport over to the Icelandic authorities at the end of the war. The British built a control tower for their operations in Iceland and it was used until the new one took over in 1960. The office and hotel buildings of Loftleidir were built in 1962-64. The airport has been the main centre of domestic flights from the end of the war and both companies operated from there until Loftleidir moved its international operations to Keflavik in 1962. Icelandair bought a Boing 727 in 1967 and soon started operating its international flights from Keflavik. The Icelandic Aviation Administration has had its headquarters at the airport since 1950. Prior to that, the government assigned Mr. Agnar Kofoed-Hansen an aviation advisor in 1936, and he became the first director of the Administration. The Icelandic Meteorological Centre moved a part of its operation to the old tower in 1950 from the Maritime College and in 1952 the main operation was moved to the Keflavik Airport. A branch of the aviation weather services continued in the new tower after 1962. The present centre of The Meteorological Office at Bustadavegur was built in 1973. The flight department of The Icelandic Coast Guard is situated on the airport. 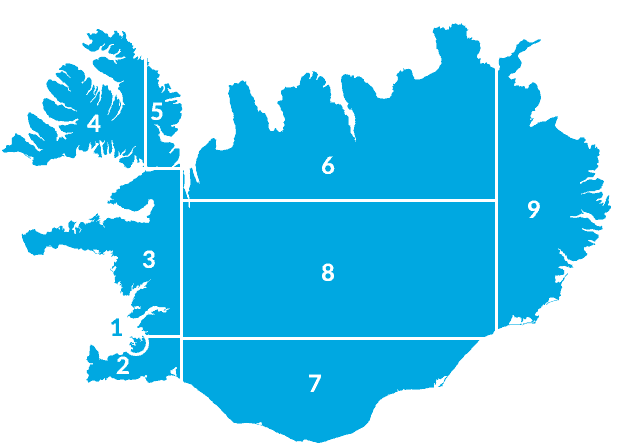 The location of the airport has long been a matter of debates and disputes among the citizens of Reykjavik, mainly because of the danger it represents and the possibility of consolidating the habitation of the town. 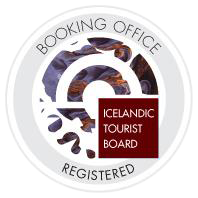 Many have suggested moving the domestic operations to Keflavik, building a new airport in the Hvassahraun Area or on landfills in the Skerjafiord Bay, which would become a domestic and an international airport. At least nothing is going to happen until 2017 and no one knows yet, what is going to happen after that.